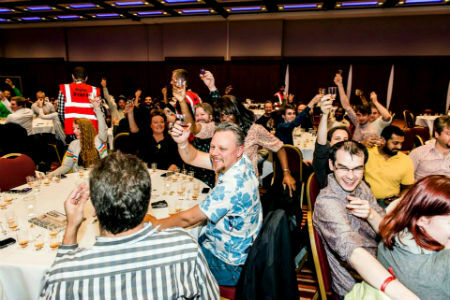 Exciting rums…interesting (and tasty) seminars, good rum friends, carnival music and good food – that`s the UK Rumfest! (and in England good food to me spells either Caribbean food or Fish and Chips (with extra hotsauce) and there was Caribbean food in the venue and upstairs in the pub they had the most delicious and crispy fish and chips! oh how i miss that one now! Combined with main stage presentations featuring Chef Hasan De Four on cooking with rum, London auction house Christie’s hosted The RumFest’s first ever auction for charity including £5,200 on the hammer for one of the oldest bottles of rum in the world, dating back to 1780 from the recently discovered Harewood House collection. The auction had over 20 precious and rare rum lots sold to the highest bidder, for prices that stretched into the thousands. Ian Burrell was on hand to take spectators and bidders through the history of each of the rums, while Christie’s auctioneer David Elswood hosted the Saturday highlight and a grand total of £10,670 to be donated to the WaterAid Charity Fund and the Geraldine Connor Foundation in Leeds. On Friday the trade-only Boutique RumFest returned in association with the Cork Supply company (which btw had an interesting short seminar about cork) and allowed buyers, distributors, distillers, press and industry figures from as far as Fiji and India to come together and discuss and sample rum. 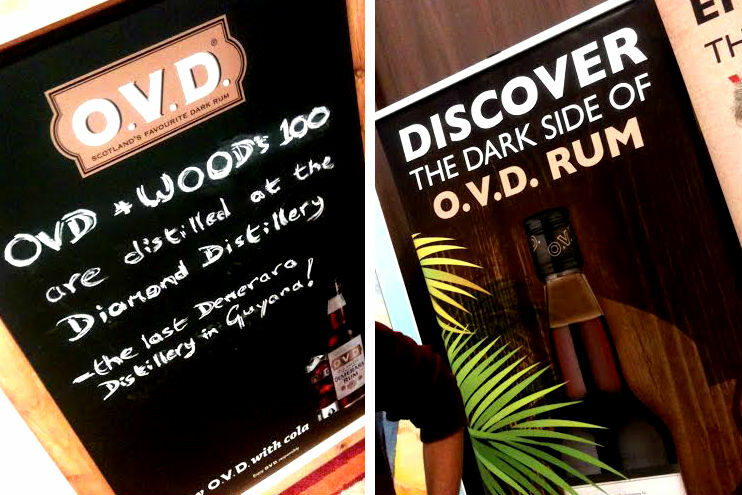 OVD is a demerara rum from Guyana and OVD stands for Old Vatted Demerara, a rum i know since a long time and also wrote about long ago on this blog. OVD was first imported in Scotland in 1838 and is a blend of demerara rums that is aged for seven years in oak casks and it´s the best selling dark rum in Scotland. But there was also Wood`s 100 which i also have known about for long but had never tried so now i had my chance and disappointed i was NOT! this rum is bursting with good flavors! 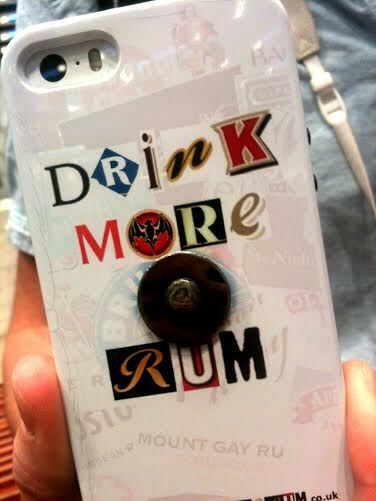 and a plus in my book – it´s a bit stronger, i have a special love for full proof rums. This is a perfect rum for tots and tiki drinks. Wood`s 100 is an excellent overproof navy rum also from Guyana and distilled at the diamond distillery using a combination of spirits made in pot and column stills from sugarcane growing on the banks of the river Demerara. 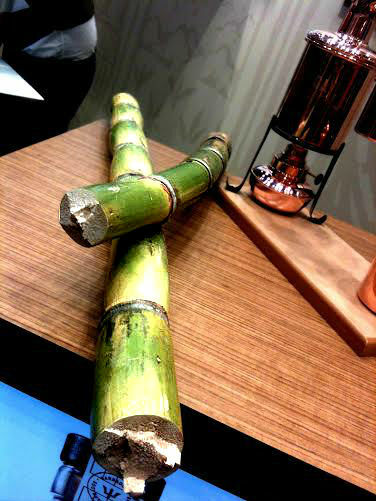 The appearance is dark and syrupy and the flavor is unrefined rich demerara with kick and depth. Next stop was Ron Cubay, i wrote a little about them last year and remember i said i need to re-visit them. 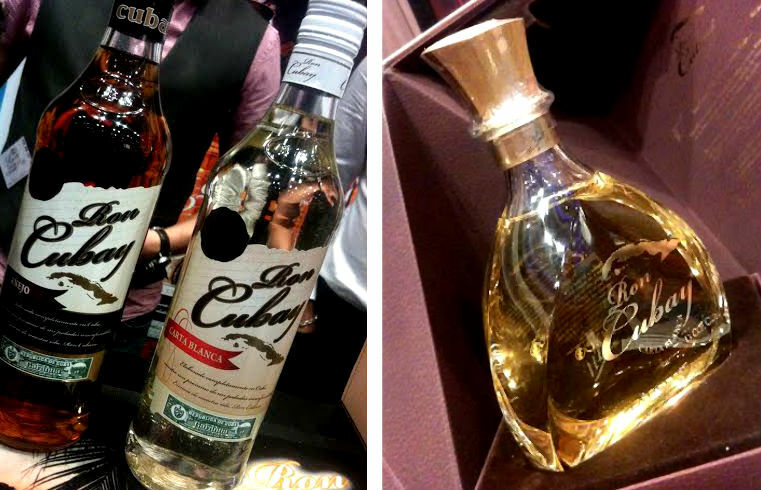 This year they had a new rum there, Ron Cubay Extra Viejo – a light gold colored rum which is mix of white rum and extra aged rum reserves. That is old Cuban rums that are aged for an average of seven years and then some of the best whites that are aged for nearly 13 years in white American oak barrels. From what i remember of the taste of this rum, it had a quite intense fruity flavor, balanced and no harshness at all which was expected. The bottles are individually numbered and comes in a velvet leather effect gift box. Oh how i love these Caribbean rum punches! they serve them and sell them ready made at every UK Rumfest, some are small batch brands. Really, nothing is so Caribbean to me as a rum punch and i love their appetizing colors, usually red and the two i tried at this stand were all that. 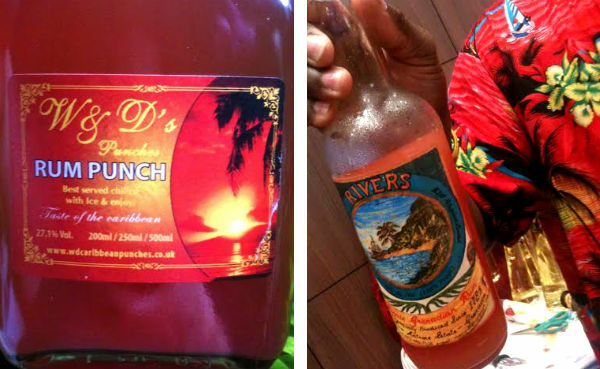 The first i tried was the rum punch from River`s Rum from the River Antoine distillery in Grenada, and oh so tasty! after that i tasted W&D`s Caribbean Rum Punch, as tasty as as can be! it`s actually really nice to break off from all the neat rum sampling with a cold Rum Punch, it sort of clear the palate a bit too. W&D Rum Punch also have a website where you can order both rum punches and Caribbean cakes for all occasions, they also offer non alcoholic punches! You can order from the website and also book them for catering at your events if you live in the UK. 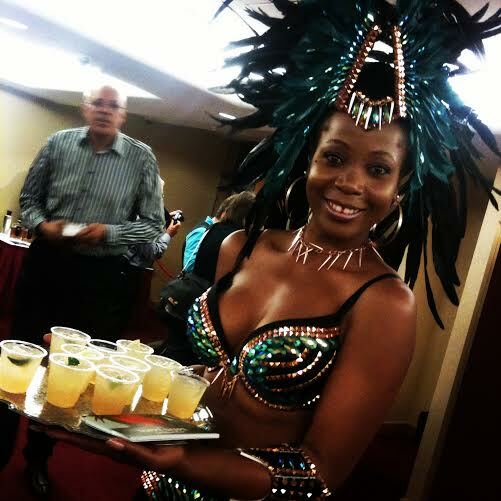 You can also check out their Facebook page and get the Party started with W&D’s Caribbean Punches! More on rum punch later on this blog. Excellent taste and so refreshing…. This distillery and it`s excellent rums and Richard Seale need no presentation. I spent a great deal of time here talking rum at this this stand. I tried a special one that was very interesting and oh so good…. not out for sale yet though. And luckily and finally the Doorly`s XO will soon be launched in the cold country where i happen to live…so a new Doorly`s XO will soon be comfortably installed in my home bar. Here is a link to a video about the Foursquare rum distillery. Here comes the next absolut top quality rum, also from Barbados, i wrote about this distillery and their rums last year and this year they are launching their very own 5 year old, made at the distillery from start to end. 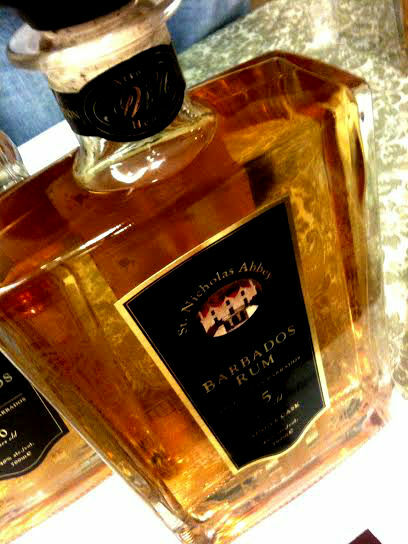 A very exciting new rum from St Nicholas Abbey! more on this rum and the white one later. Another good one, i tried their rum the first time last year, it´s really good stuff and the Real Mc Coy rum has an interesting history that i wrote about when i reviewed their 5 year old rum. I`m gonna write about the 12 year old soon, which is my favorite of the three. But i recommend trying them all. This year there are two new rums arriving from Pusser`s to the UK, a 40.5 abv version of the current gunpowder proof rum (54.5%) and also a 100% natural spiced rum which is steeped for up to ten days with stem ginger, cinnamon, clove and vanilla. Plantation had a hut this year with all kinds of rum suspects walking in and out…They had the whole range to try on the stand, well almost…including their famous Stiggin`s Fancy Pineapple rum and the new Jamaican -98 Tokai which was very good. Angostura rum is always around, anywhere i go they are there and they are good, i like all of their rums and the bitters plus their amaro that was launched in the summer and which i`m gonna write about later. Angostura is always solid and consistent. The flagship of demerara rum, they went big this year and had pop up bars and masterclasses around London, they even made a El Dorado pop-up bar which was built like a replica of the Golden City.I will always love their rums, especially my “first love” the 15 year old. Unsuspecting i passed by their hut…and was gently dragged in with the words, “do you want to try a few cocktails”? then seated at a table and a wooden tray appeared with 3 cocktails that were each made with a different Bacardi rums. One was smoking, the next was blackish and the third was served in a egg shell. Interesting. I looked at the tray, tried them and was caught by surprise…they were amazing! especially the one in the egg cup. The second in the middle was the Black Butter – made by Rich Woods – Bacardi Black rum, cherry bark, cola and toffee popcorn reduction. The third one in the egg cup (my fav) was the Bacardi 8 PJB – made by Monica Berg – Bacardi 8 year old rum (peanut infused) fresh lime, Norfolk raspberry cordial. A sort of variety on the daiquiri with the raspberry cordial as a sweetener. All three of them were really tasty cocktails! they are welcome to “kidnap” me into that hut again if they want…anytime! Over at the Don Q stand there were fantastic cocktails galore! The Don Q rums have recently redesigned their bottles honoring it`s heritage as one of America’s oldest family-owned and operated businesses. Destilería Serrallés has for over 149 years been producing many good rums . 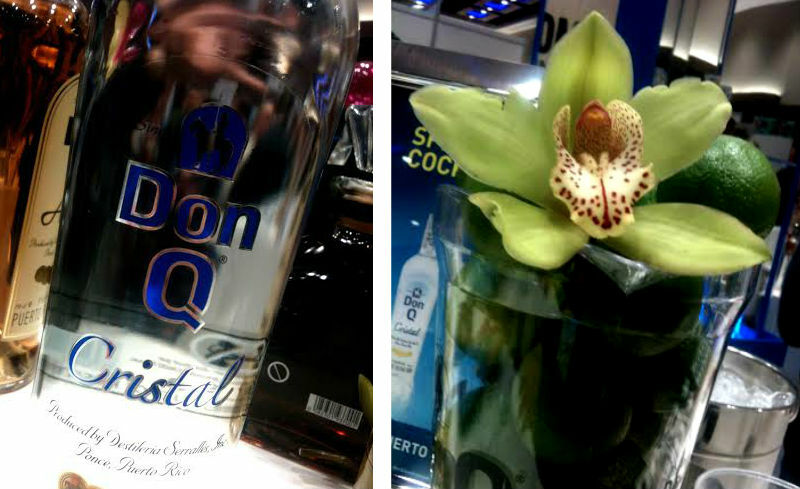 Don Q Cristal, one of the classic rums from Don Q.
Genuinely Caribbean…rums, rum punches and hotsauces at this stand. I tried all the rums and punches and also bought a hotsauce and a green seasoning for my cooking at home – you can never have too many rums or hotsauces! Sunset strong rum is probably one of the strongest overproof rums there is (84.5% or 169 proof) and nah i didn`t try it neat but i had it in a rum punch. Fresh coconuts with coconut water at Chocka`s Coconut Hub, freshly chopped in front of you. This is one of these things that i really like…and coconuts makes life go around….drink them fresh as is or pour some rum in it. 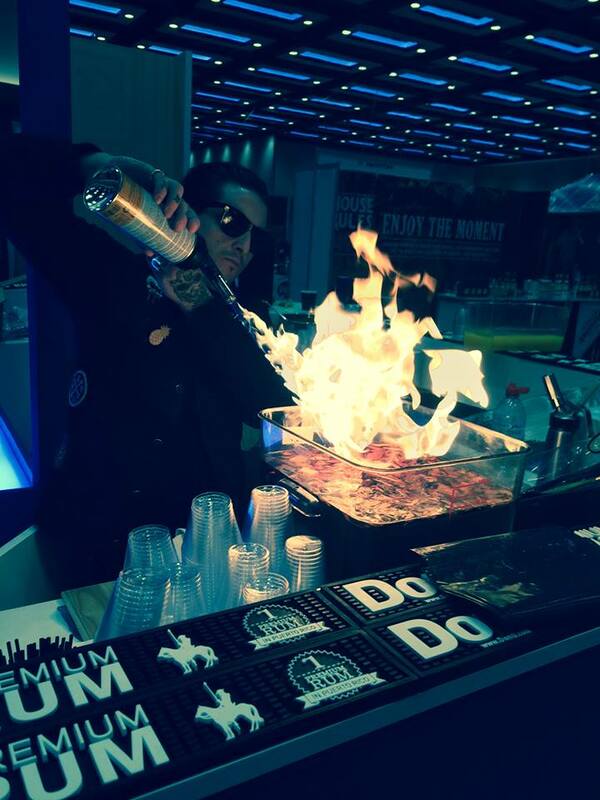 And there`s more….Mount Gay, Ron Botran, Havana Club, Gosling`s, Diplomatico, Mezan…there was over 400 rums at the rumfest and i cannot cover them all….and then we have the masterclasses/seminars and they were good! It ended at precisely 6 bells in the forenoon watch (11am) when the last rum ration was issued aboard ships of the British Royal Navy. One of the sailors told me that he cried that day. The last tot was served on july 31 1970 and since then the Black Tot Day is celebrated every year in memory a 300 year old Royal Naval tradition. So when the tot was not done anymore the British navy had no more use of those rum barrels they had stored in warehouses and so they emptied the barrels into wicker clad stone flagons which were sealed under HM Customs and Excise Supervision and were then transferred to Government bonded warehouses where they did sit for 40 years (!) and the rum was only used for state occasions and royal weddings. Until when the stocks were acquired and bottled by Speciality Drinks who bottled them under the name Black Tot Last Consignment. When the flagons were opened there were three original solera rums there and these three were blended together to create the Black Tot rum. Original naval records states that the naval rums were rums from Barbados, Guyana, Jamaica and Trinidad. Black Tot rum and story telling, cheers! The Black Tot rum is the last that exists today from the barrels they used to have on the British Royal Navy ships and this rum fetch a price of 610 British pounds per bottle, or 76 pounds for 5 cl and in the US around USD 1000. This rum is literally a piece of history in a glass and that`s what you pay for, is precious not only because of it´s history but also because this is the last that remain from the original barrels and when it´s gone it´s gone. The Black Tot rum is a very good rum, containing 54% strong navy rum and one of the rums in the blend is demerara rum from Port Morant Guyana and it really does have a very deep, very woody demerara flavor with a long finish. It tastes old….but in a good way, with hints of very dark coffee, leather, smoke and tar. Not everybody likes the flavor, but i do. 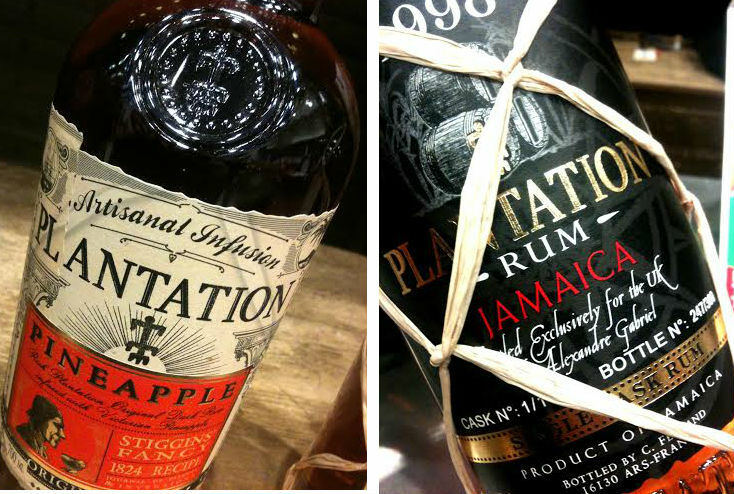 It`s believed that these rums were distilled in the 1940s. We also sampled Pusser’s and their Blue Label which is a classic British Navy style rum, and needs no presentation….it`s inspired by the recipe used to produce the tot and using the same four rums required to make a real navy rum, rums from Barbados, Guyana, Jamaica and Trinidad. 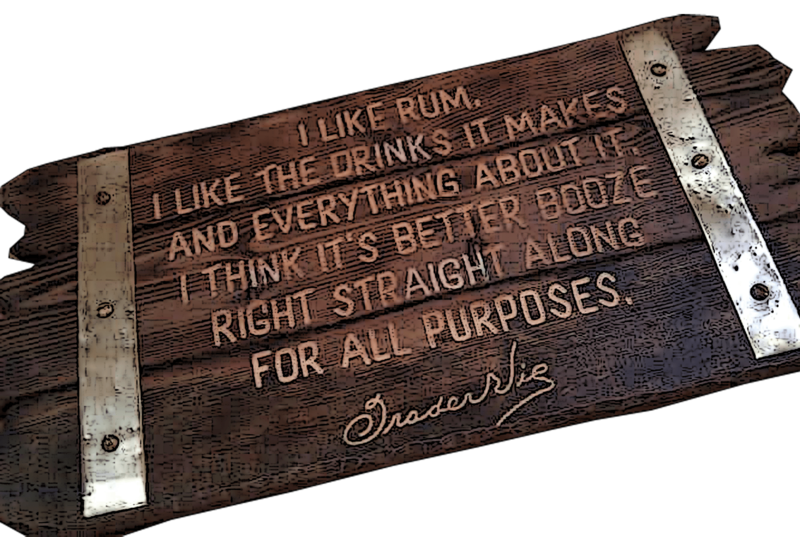 And as most of you know it`s a great fullbodied rum as well. Happiness and history in a glass…and yours truly enjoying a precious and memorable moment of tot cheering with the Royal Navy sailors. Georgi spoke about the history of the tiki cocktails from the old favorites to the new twists that are made at Mahiki with demonstrations of a couple of those cocktails including their Treasure Chest, which was tastier than i expected. 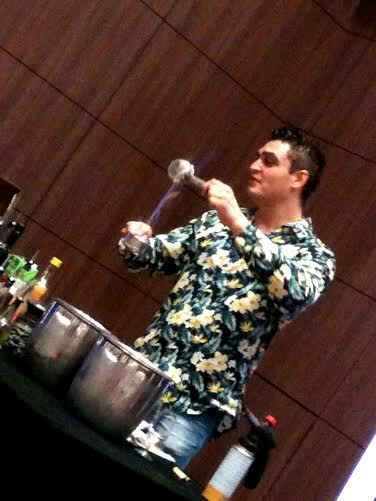 Overall, the seminar was very good and entertaining, the Mahiki cocktails were all well made and very tasty! 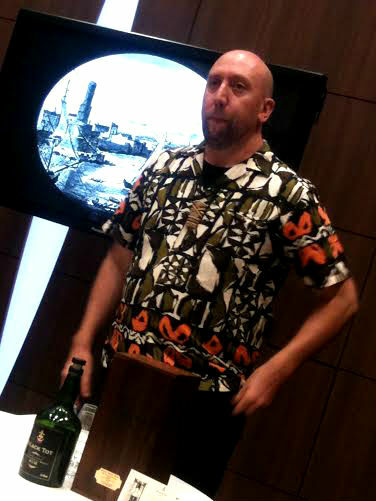 The seminar was sponsored by Duppy Share so we got a presentation of the Duppy by the founder George Frost and of course we got to drink Duppy Share both neat and in the cocktails. 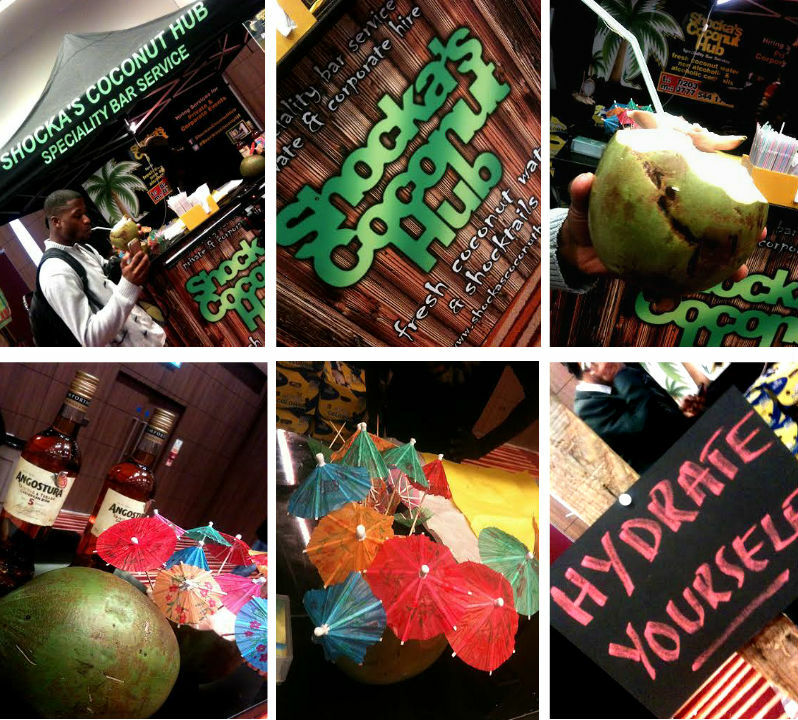 Tiki drinks + Duppy Share, yes i totally enjoyed this seminar! 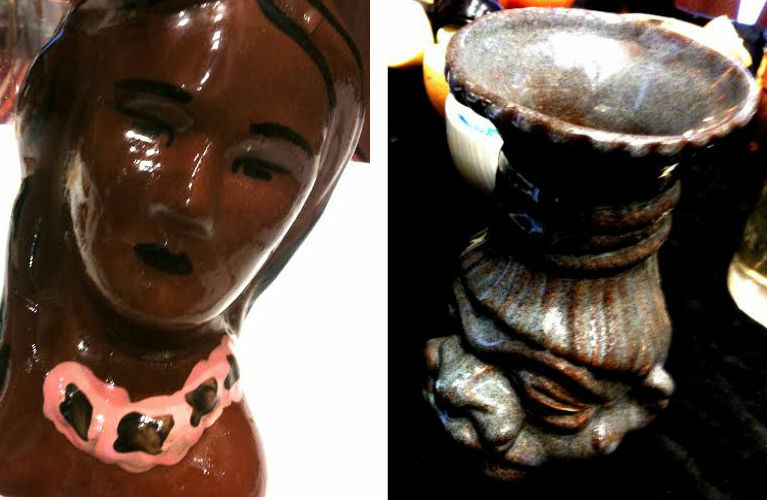 Awesome mugs made by Cheeky Tiki! i especially like that Zombie mug. 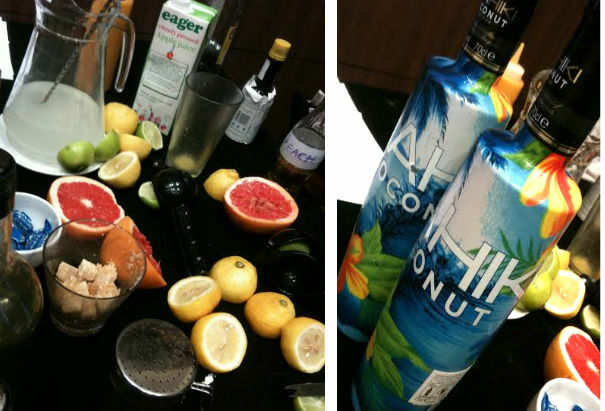 And the tiki drinks all made with fresh fruits and good rum were all well made! 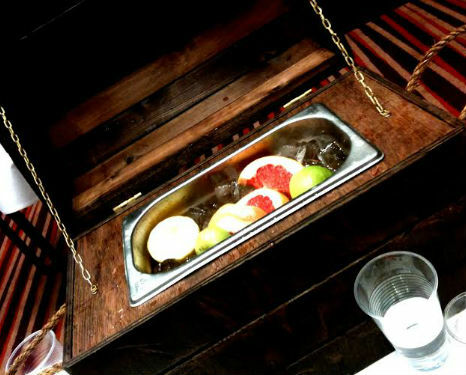 The Mahiki Treasure Chest, it´s really tasty. It´s always a pleasure to listen to Alexandre Gabriel and Paul McFadyen when they tell you about Plantation rums, it´s both interesting and entertaining. And of course we got to sample the star of the show the Stiggin`s Fancy pineapple rum, i consider myself lucky to get a chance to do that for the third time now since last summer and then their new rum the 98 Jamaican tokai and single cask rums which of course, like the rest of the rums from the Plantation range, was nothing but excellent. 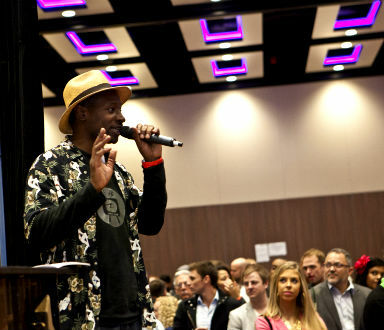 There were many more great seminars i`d liked to attended but you know, you need to be out there in the big room too meeting the people and sampling the rums! and when you do….time flies! And that is all for this year, hopefully i`m back again the next! 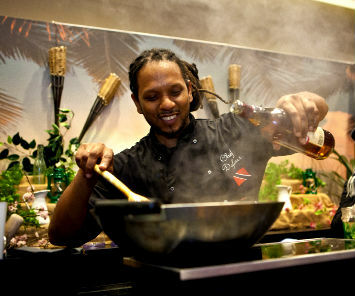 Chef Hassan de Four cooking with rum…. 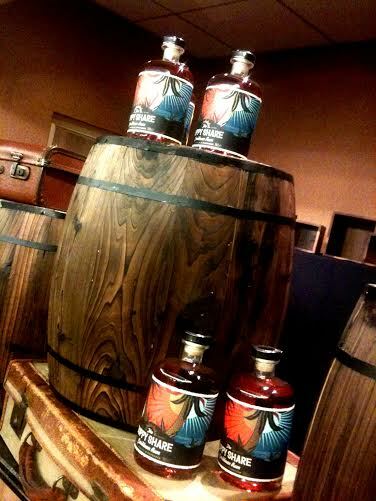 The lovely Duppy Share Rum, what a beautiful display! 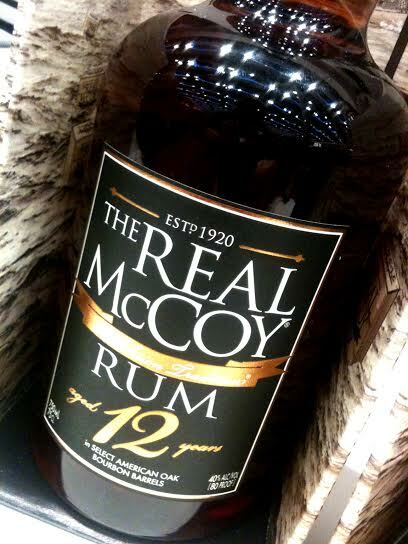 The Real Mc Coy 12 Year Old Rum and their other rums as well are excellent! more on this 12 year old gem later! There were not many agricoles from the french caribbean around for some reason but i did find Rhum Clemènt and Rhum JM….both brands makes excellent rhums. Rhum Clemènt VSOP in the beautiful 25 Year Anniversary bottle. And yes indeed i do love me some Ti Punch! Amazing expressions from El Dorado, i like all their single barrel rums a lot! they had all their rums up for sampling, some in exchange for golden tot tokens. There were also of course the 5, 8, 12, 15 and 21 to sample. The single barrel rums are more for the rum connoisseurs as they are not blended and as sweet or “smooth” as the others since they are straight from the barrels. 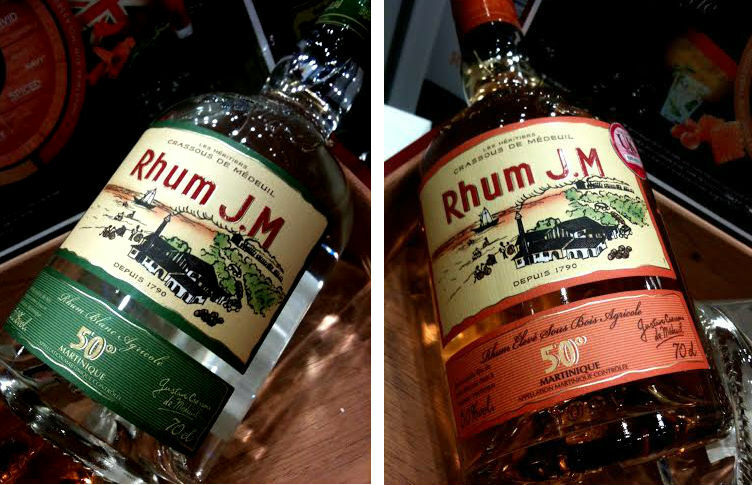 Rhum JM, one of the classic good rhum agricoles from Martinique. 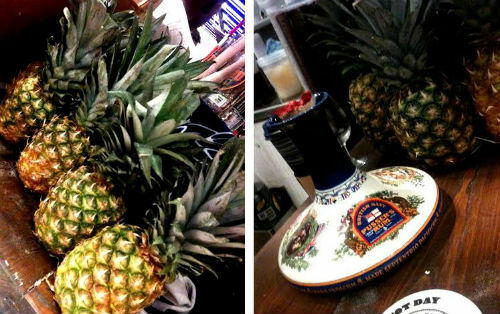 Only good things can come out from Pusser`s rums and fresh pineapples! 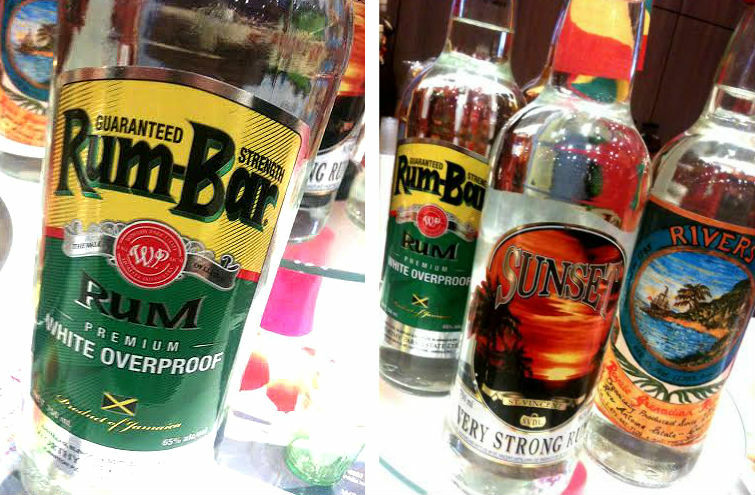 I love these colorful Caribbean rums with the sunshine vibe! and they really do have some interesting strong rums! one of my favorites is the Rivers…it tastes like a smoky JWray. Worthy Park Rum Bar is another good overproof, it actually won the best overproof at the Showrum 2014 in Italy, the Italy Rumfest. 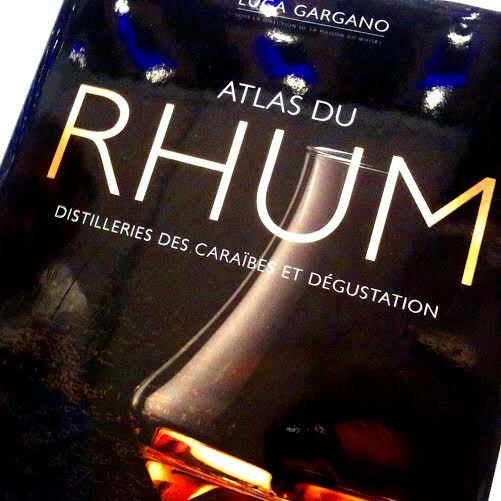 I also got a chance to take a look in Luca Gargano`s (Velier Rum) new book “Atlas du Rhum” which is about rum and rum distilleries in the Caribbean. There´s only the french version out for now, it has recently been launched but the english version is on the way. Beautiful display and another solid rum, Mount Gay from Barbados. I love their XO and the Black Barrel! A collage from Trailer Happiness…excellent tiki bar! 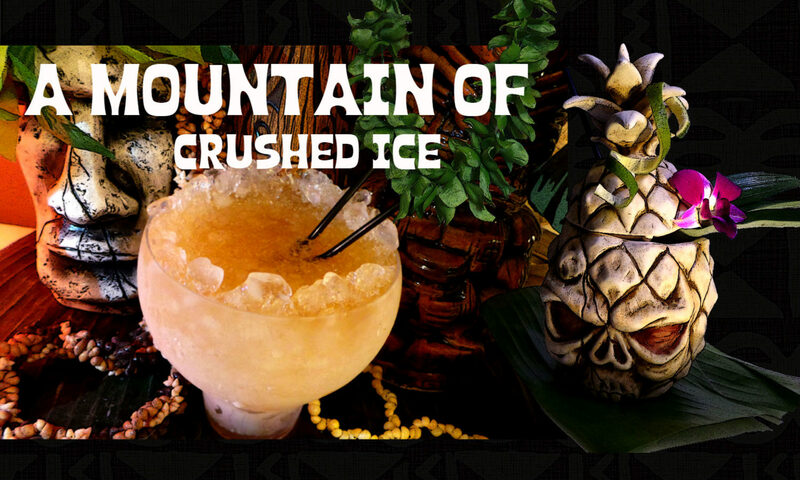 i really wish i had been able to visit more of London`s tiki bars but hopefully the next time! I wish i could spend all my time just visiting tiki bars…. 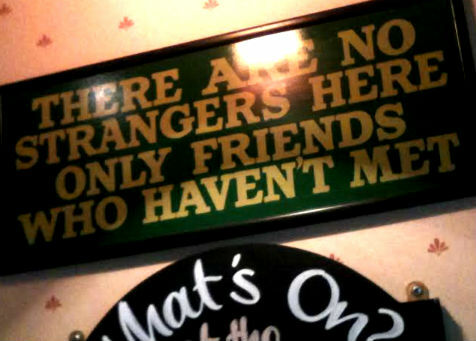 Sign at the Pub “The George and Dragon”upstairs at the Ibis Hotel. 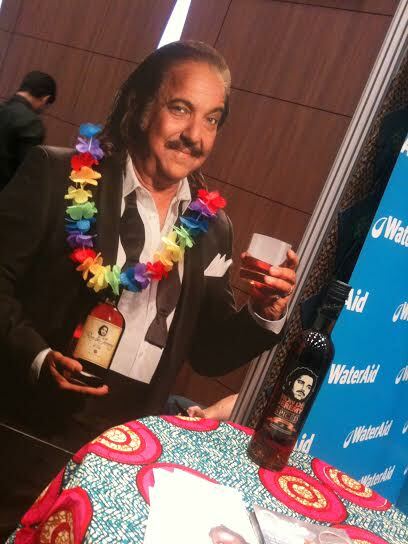 Last time i saw this Ron Jeremy figure was in San Diego this summer at the Tiki Oasis at one of the room parties…..Ron Jeremy is everywhere…..here adorned with a colorful lei! 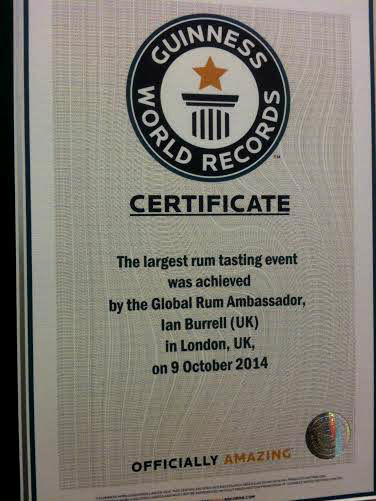 Guiness World Record Certificate, Largest Rum tasting in the world! well done Ian! 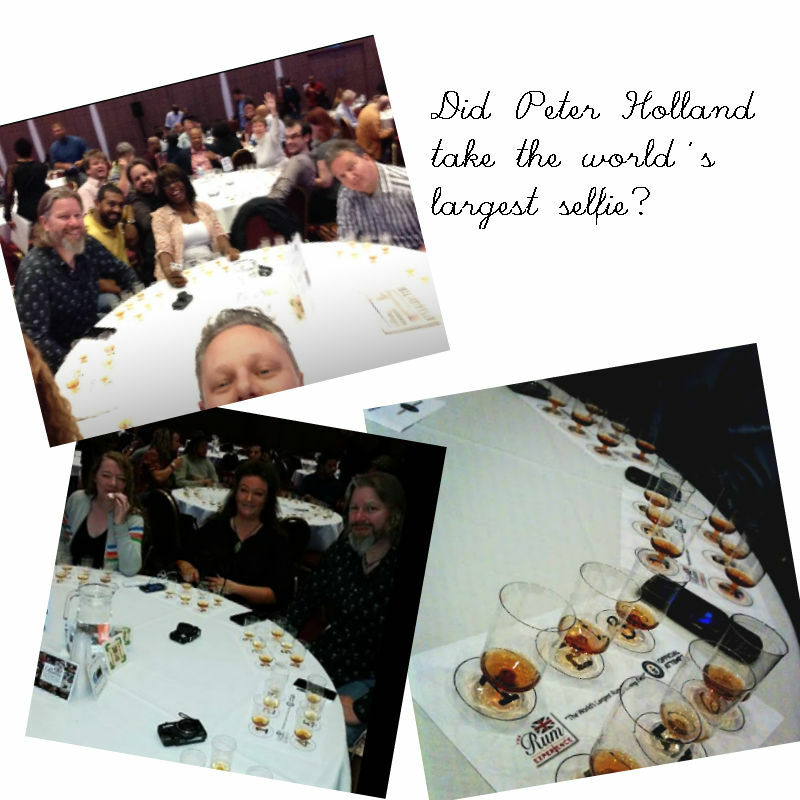 Check out my previous post about the Guiness World Record for the World`s Largest Rum Tasting and the Boutique Rumfest! 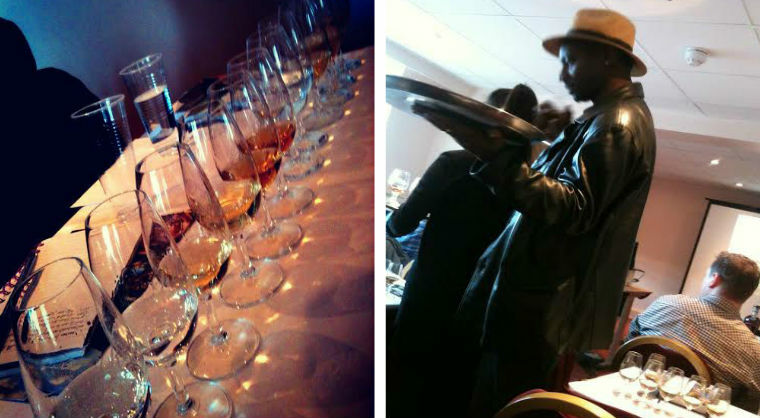 This years UK Rumfest was different from the others i been to in that this year Ian Burrell did an attempt to break the Guinness World Record for the World`s Largest Rum Tasting – and YES…we nailed it! The world record was set with 353 participants, it´s official here. 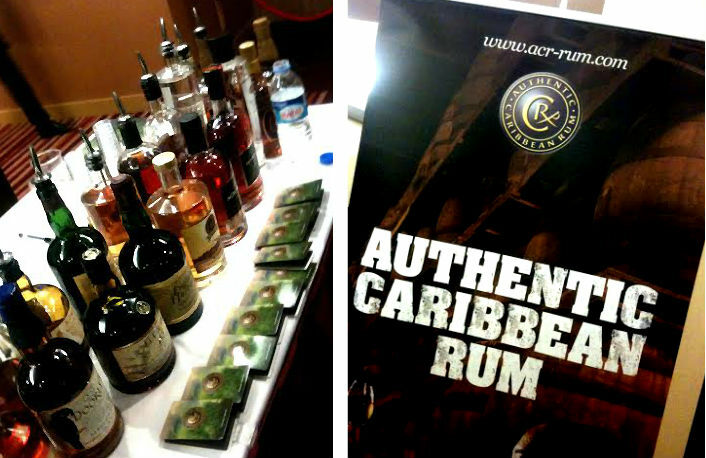 The rum tasting took place at the ILEC Conference center, where also the UK Rumfest and the Boutique Rumfest took place. There were rums presented by six brands for tasting and joining Burrell in leading the tasting were Joy Spence from Appleton Estate, John Georges from Angostura, John Eason from DonQ, George Freegard from Pusser’s, Xavier Herrera from Diplomatico and Asbel Morales Lorenzo from Havana Club. 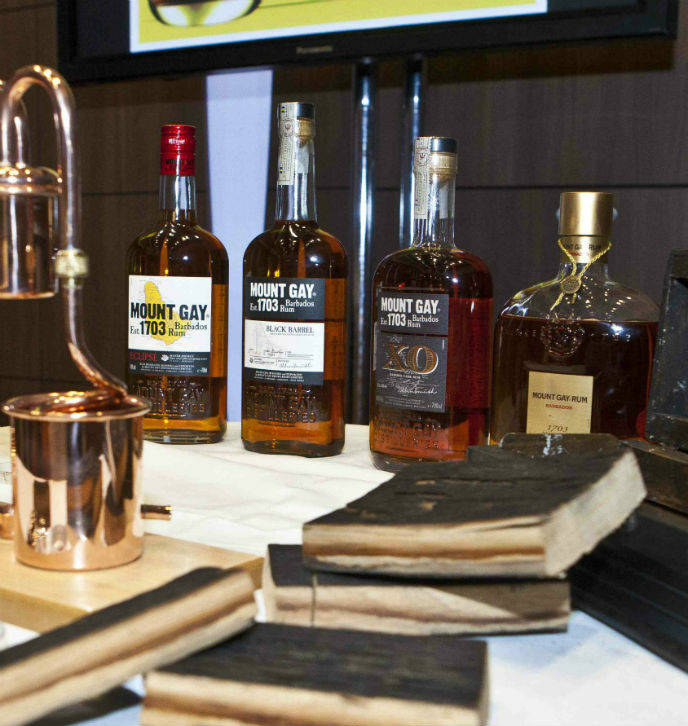 Six of the world’s most knowledgeable rum aficionados shared their their knowledge under one roof. The world’s first female master blender and award winning Master Blender Joy Spence from Jamaica; From Canada Appleton Estate Jamaica Rum’s Master distiller Michael Delevante for his first masterclass in the UK; Havana Club’s Master blender Asbel Morales all the way from Cuba; Foursquare Rum Distillery’s award winning rum maker Richard Seale from the home of rum Barbados. Michael Delevante spoke about Appleton Rum and Joy Spence, master blender with a vibrant personality from Appleton thought us among other things, how to taste rum, what to look for and how to appreciate the rum in the glass, Asbel Morales from Havana Club spoke about the Havana Club 7 year old Rum and Richard Seale from Foursquare Distillery on Barbados had a great and very interesting seminar about spirits distillation which was in depth and enlightening, i sure learnt a thing and two! That the yeast used by the Appleton distillery comes from the cane of the estate and that yeast culture been going since 1972. There´s a lagoon on the Appleton Estate property where the water for the fermentation process comes from, water that has been filtered through the limestone formations. When looking at an aged rum in the glass holding it up to the light, you will see a “green shadow” which is produced by tannins from the oak reflecting the light. The longer the rum been in the barrel, the more pronounced is the “green ring or shadow” Appleton 21 had a very pronounced such green shadow in the glass. Distillation does not create flavor, it extracts it. Fermentation creates flavor, distillation extracts flavor and maturation is the evolution of flavor. Only three columns are needed to distill a spirit. Cuba is the birthplace of light rum and rum in Cuba is much more than a drink it´s a cultural expression. The youngest rum in the Havana Club 7 anos has been aged for 7 years and HC 7 is a blend of 4-6 different rums. Cuba has over 80 local rum brands, ten of them are high quality rum brands. 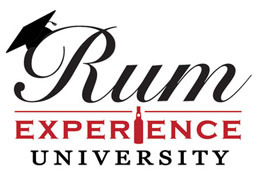 And when it comes to rum the learning is a life-long journey…rum is actually more than just a drink, rum is a life style. Here is the new release of the first ever estate produced rum at 5 years old rum from St Nicholas Abbey, very flavorful and it got that wonderful “St Nicholas Abbey” flavor to it. It`s an excellent rum and after their range of wonderful and totally amazingly good rums (the white, the 10, 12 and 15 (oh the 15….) these are rums that will blow your mind and that`s all i`m gonna say for now because a review will come and there i will write more in depth about this rum. 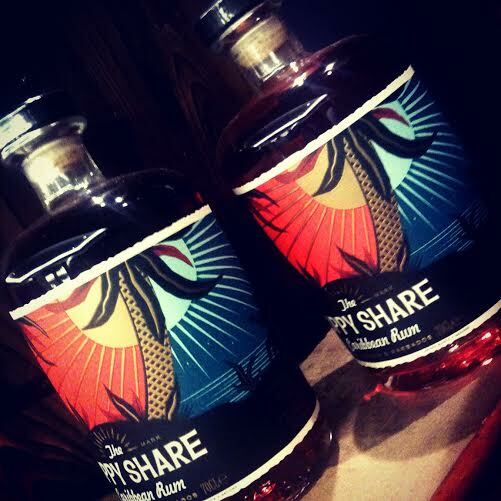 Duppy Share was released in the UK in july and is a golden Caribbean rum crafted from a blend of oak-aged spirits from the islands of Jamaica and Barbados. The brand name “Duppy Share” takes its name from the dark spirits of Caribbean folklore known as duppies. It is said that in the dead of night, when the distillers’ backs are turned, they journey between islands, stealing a share of the rum left ageing in old oak barrels. Spirit masters, and skilled in the fine art of blending, the duppies take only the best. It`s the same as what we know as the “angels share” 🙂 More on this rum later on this blog. The ACR or Authentic Caribbean Rum was developed as a symbol of authenticity, provenance and quality for rums within the WIRSPA family (The West Indies Rum and Spirits Producers’Association Inc) and designed to help trade customers and consumers identify Authentic Caribbean Rum brands it is also used to promote the development of Authentic Caribbean Rum. The ACR marque had a whole range of authentic caribbean rums for tasting on the table, the brands belonging to the ACR are English Harbour 5 year Old, Cockspur Fine Rum, Doorly`s XO, St Nicholas Abbey 10 Year Old, Mount Gay XO, Traveller`s Five Barrel, Clarke´s Court Old Grog, Westerhall Vintage, El Dorado 15 Year Old, Barbacourt Réserve Spéciale Five Star Rum, Hampden Gold, Monymusk Plantation Special Reserve Rum, Barceló Imperial, Brugal XV, Captain Bligh XO, Chairman’s Reserve, Borgoe 8 Year Old Grand Reserve, Angostura 1919. Westerhall Rums are rums from Grenada, the spice island of the Caribbean. 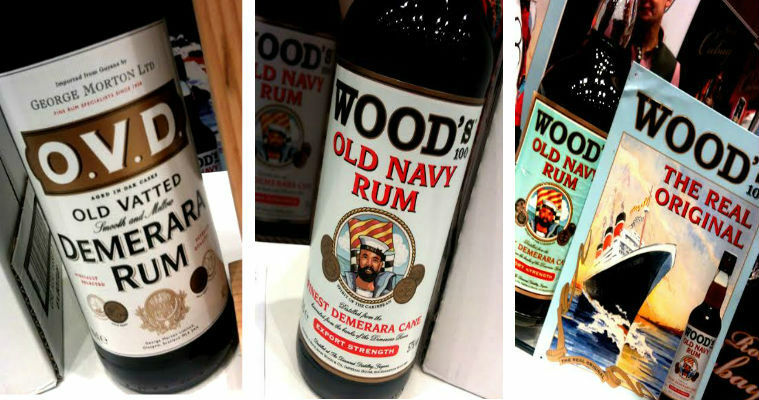 They are genuine Caribbean rums with a down to earth island style. They have some good rums like their vintage and plantation rum and i`m also fond of their Jack Iron overproof . 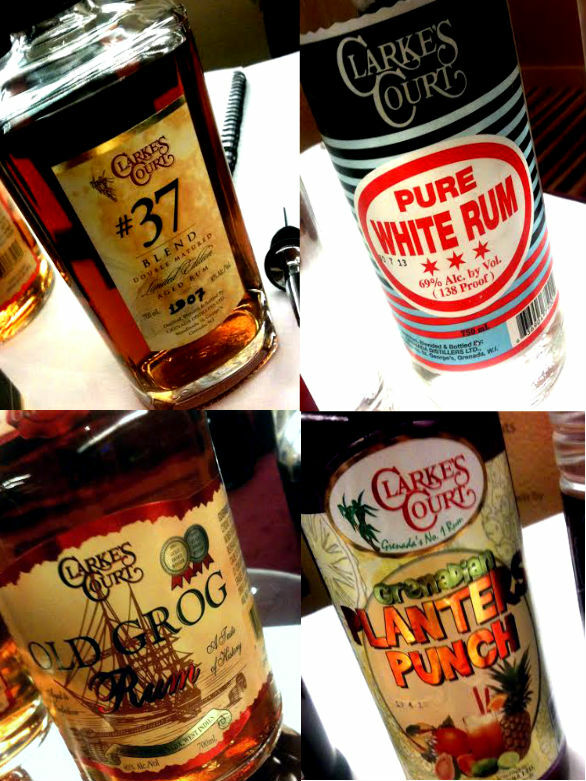 Another rum distillery from Grenada, Clarke´s Court. The distillery dates back to 1937 and they have a range of nice rums like the Old Grog, the #37 Blend and other tasty things like their Rum Punch and the nutmeg flavored Camerhogne Spice liqueur. I see them more and more…the rums from Mauritius – and i tried all i could try and liked many of what i tried too, the Mauritius Gold, St Aubin, Blue Mauritius and Green Island are all interesting rums from a very interesting and beautiful island. 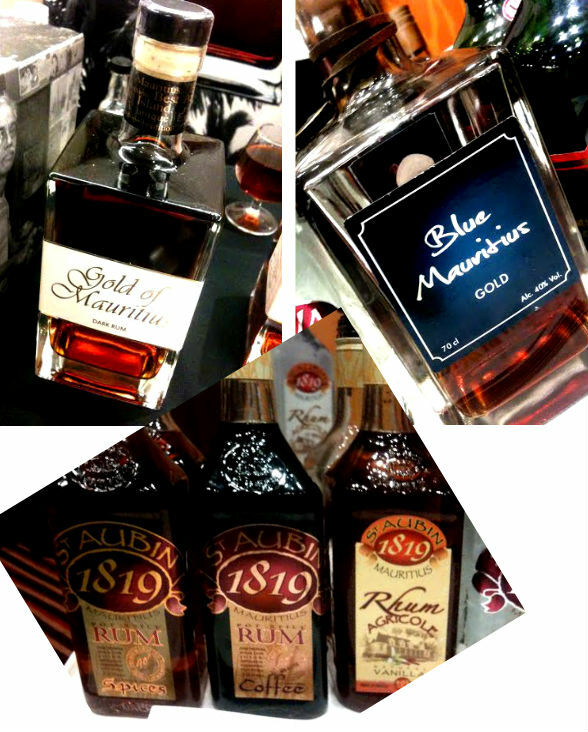 I haven`t tried all rums from Mauritius yet though, but at least more now after the Rumfest than before. 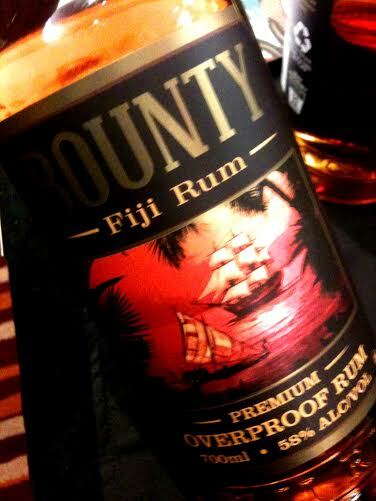 Paradise Beverages carried a range of rums from Fiji and one especially catched my attention, Bounty Rum overproof, it was great! i wouldn`t mind having a bottle of that one. A rum that is a mix of Indian and Caribbean (younger rums from Barbados, Guyana, Jamaica) styles of rum made by Amrut, a distiller in India that began production right after India got its independence in 1948. It`s a different rum in that the indian rum in the mix (3 year old) is made with something called jaggery goor which is a concentrated product of date, cane juice, or palm sugar and can vary from golden brown to dark brown in color. 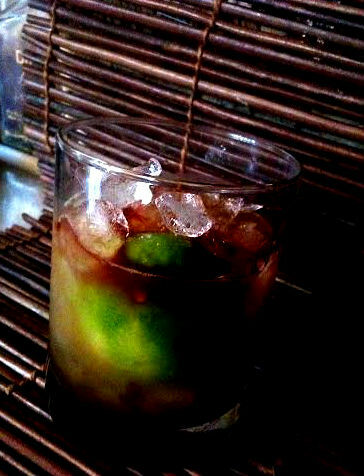 I have used it myself sometimes in simple syrup making to add a bit of a darker depth to tiki drinks, it´s pretty tasty. From what i remember from the brief tasting of this rum is that it had a tropical fruit-ish but dark flavor with some spiciness. Examples of furthermore rums were Ron Cubay, Doorly`s, English Harbour, Dos Madeiras, Ophtimus, Ron Centenario, Real McCoy, Seven Fathoms…some of these i will write about in my next post. 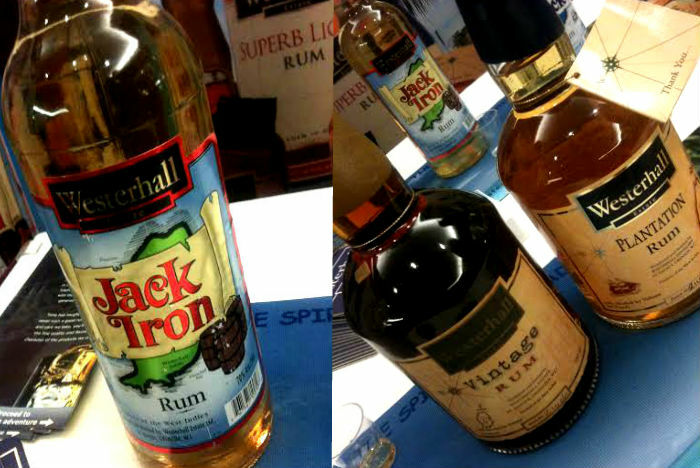 Westerhall Rums, Jack Iron, Vintage and Plantation. 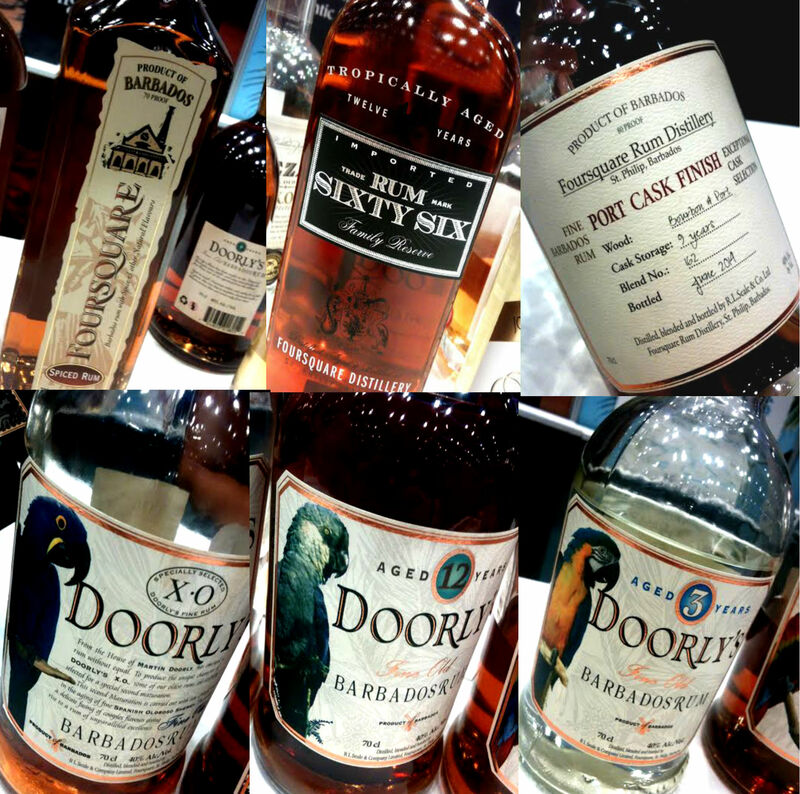 Yes there are more rums than these…and i went to several interesting seminars – more will come in the next post, about the UK Rumfest! This rum surprises me… it´s that good…and it makes one hell of a “Corn `n`Oil! Rougaroux Rum is made by Donner-Peltier Distillers located in the middle of the cane fields in Thibodaux, Louisiana using pure black strap molasses and raw sugar grown and milled from a family owned farm just down the road from the distillery. They also produce a gin, a vodka and a whiskey called LA1 Whiskey because it´s Louisiana`s first aged whiskey since prohibition. I had heard about Rougaroux rum but never yet tried it when i one day was sitting at the Carousel bar at the Monteleone in New Orleans with a few friends during the Tales of the Cocktail this past summer. One of them suggested i try a rum Alexander with Rougaroux dark which i did and i found it so good i felt i just had to review this rum, here we had something really interesting! But Rougaroux is not as black-ish in color as the others, instead it has a very dark brown color with beautiful almost”reddish” mahogany hues. The label is also really cool i think and so fitting for this rum. Using Louisiana raw sugar cane and blackstrap molasses they create a white rum which is further aged in white oak barrels (for how long is not known) There is no caramel or other additives in this rum. Nose: The nose gets me directly to think about a blackstrap with demerara aromas…Deep wood and sugarcane, mash of ripe tropical fruits, a hint of crispy citrus and fresh sugarcane. It`s big on the nose. In the Mouth: Here comes some vanilla notes along with the wood, it`s deep and oaky with hints of orange peel, sugarcane and molasses. It`s rather balanced and pleasant to sip on and the flavor stays with you for quite some time. What i find interesting is that it reminds me of El Dorado 12 year old…and i`m kinda puzzled by that – but i love it! I really like those dark, thick, flavorful rums that got “punch” (and can stand up in tiki cocktails) Also a white rum can have that same character – which i suspect their white “Sugarshine” rum may have…since it´s said to have thick molasses and brown sugar flavors – a tasting is required! and i can`t wait to try that one as well. at the World Spirits Award and in 2014 it won silver at the World Spirits Award and gold at the Beverage Tasting Institute. If i would pick three words to describe this rum it would be dark, deep and balanced…they call it a whiskey sipper´s rum. Well, after trying this i can safely say that i prefer to not be without it and that is despite i already have other blackstrap rums, but this one is more than just a blackstrap rum, it´s different. And it does go very well in tiki cocktails. Float a little bit of 151 rum on top and finish with a couple dashes angostura bitters. 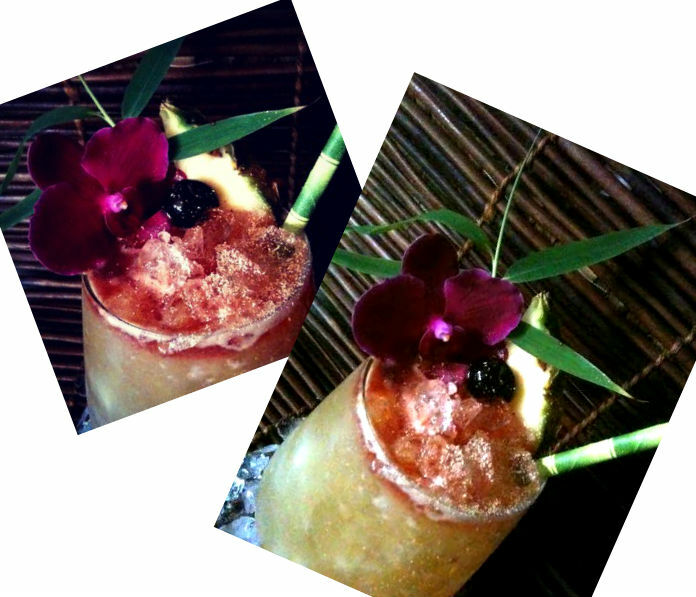 Classic tiki drink, tasty and rummy! the Rougaroux plays well here. * Falernum – you can read about what it is here and how to make your own if you wish (it´s brighter and tastier) here and here. Build in a rocks glass with crushed or cracked ice. Squeeze a lime wedge over the top, stir, and throw in the spent lime wedge in the glass. 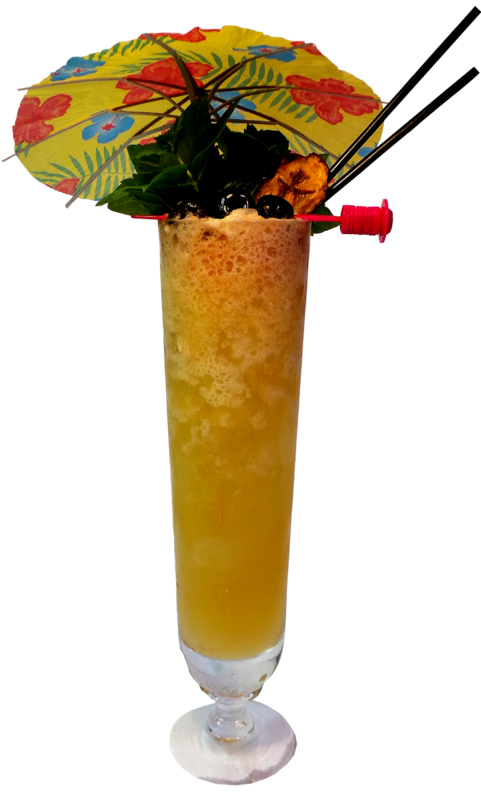 Here´s one of my favorite tiki drinks, it´s a Don the Beachcomber drink and that`s quite appropriate here in this post since Donn Beach was a Louisiana native just like the Rougaroux rum is. 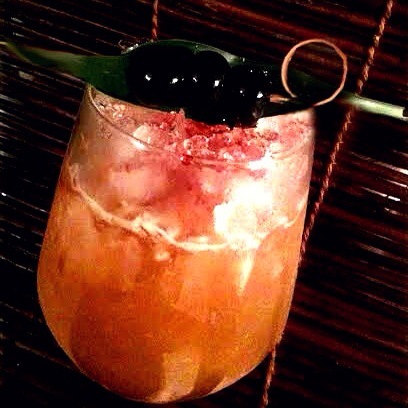 He made this drink to commemorate the Allied victory and the name of the drink comes from the Morse Code for the letter “V.” Hence the garnish of the three cherries and either a pineapple leaf/spear or a long chunk representing the three dots and the dash for the Morse Code. I have only switched the original recipe`s demerara rum for the Rougaroux. Combine all ingredients into a blender and blend at high speed for about 5 seconds. 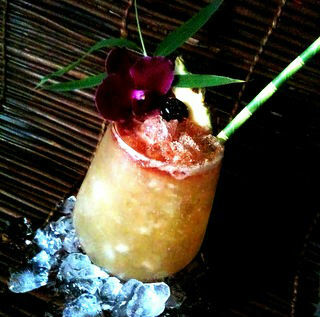 Pour into an appropriate glass and garnish with 3 cherries and a pineapple leaf spear or a long shaped chunk. 1 part Honey and 1 part Water, gently heated so the honey dissolves and then cooled to room temp.